The Women’s League regular schedule is coming to a close for the 2015 season. Dawn Hughes – Awesome scores!! Dawn Hughes won the OLGA Club Championship, posting a par 36 on the front nine, and finishing with a 78 in a revived tournament that saw 5 flights participate this year. 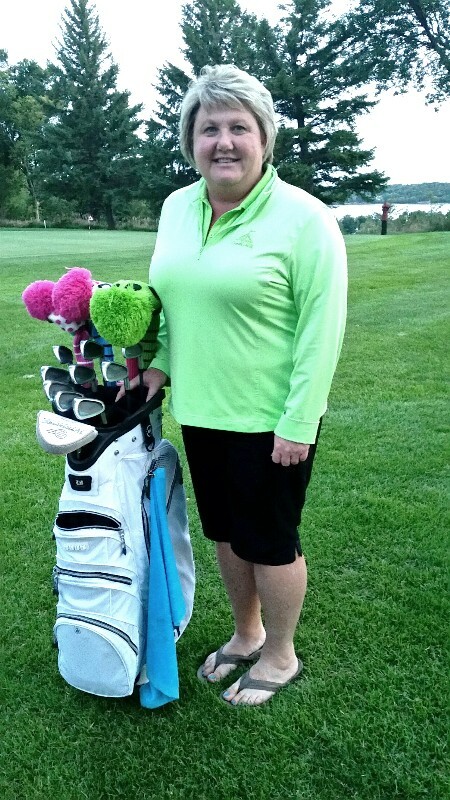 In other news, Mary Weber represented our club at the MWPGA Senior State Tournament at Pebble Creek in Fergus Falls, Ortonville hosted a Women’s Scramble event in August, and the Senior Tournament in July was well attended. The Junior League wrapped up play. Sept 2 will be a social golf outing where 18 and 9 hole players will be mixed to compete as teams, followed by supper. Weather favors a few more good days of golf in September, a time of year when the golf is good and access to the course is never an issue. Thanks to the capable and willing volunteers for making it a great season for women’s golf in Ortonville.